Preheat the oven to 180°C. Lay out a cupcake tray with 9 paper cases. In a clean bowl whisk the egg whites until fairly stiff. 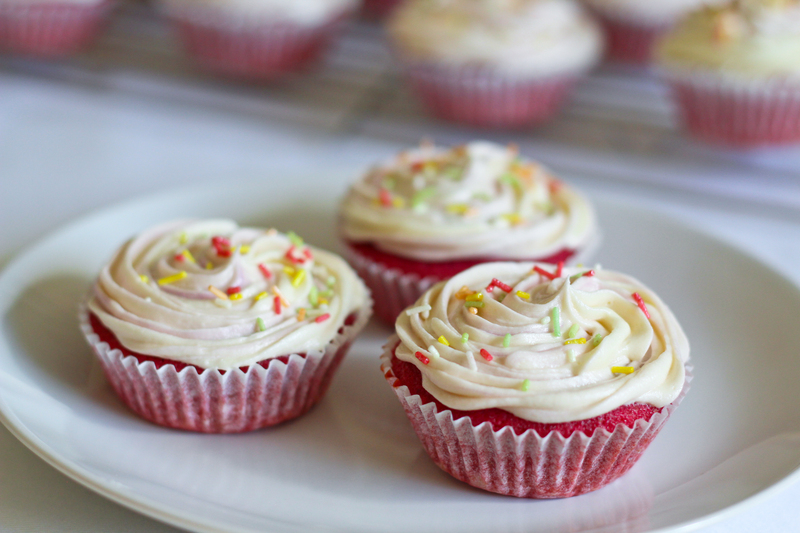 Take a large spoon of egg white and beat into the cupcake mixture to loosen it a little. Then, using a large metal spoon fold the remaining egg whites gently through the mix, taking care not to over beat. To make the icing, beat the icing sugar and butter together, either in a food mixer or by hand with a wooden spoon. If the mix is too stiff add a little water. Mix in a little purple colouring. Pipe the icing over the cooled cupcakes and top each with some sprinkles. That looks fabulous! I love the colour of beetroot and these certainly look wonderful! Thanks! 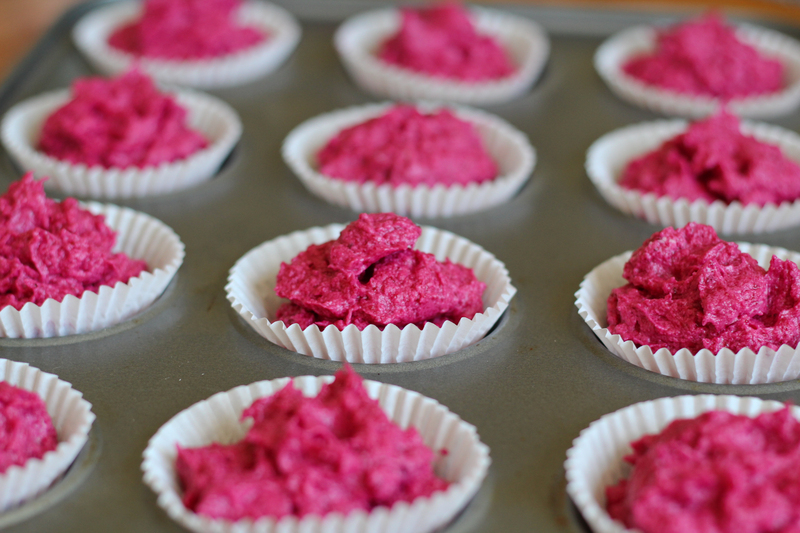 The beetroot made them lovely and moist and a really fun colour. Yum yum!! Beautiful colour….. please send some over!! !